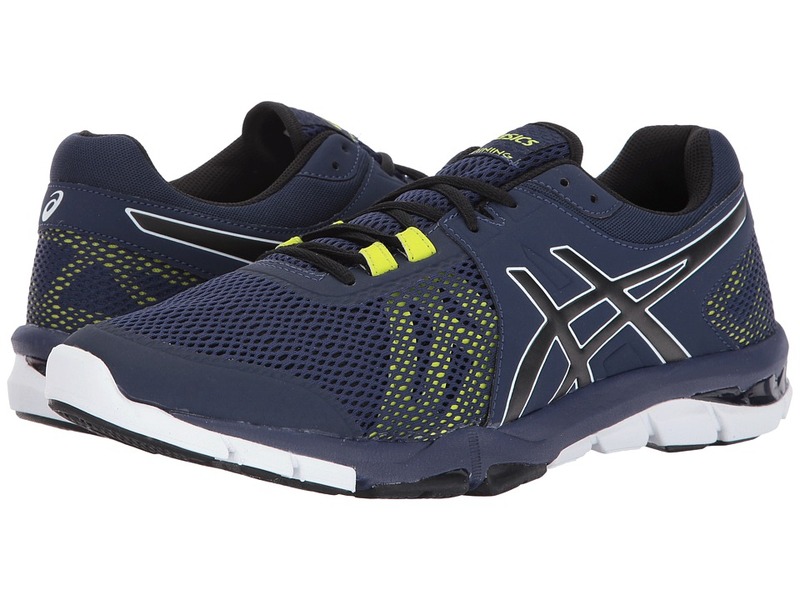 Mix up your fitness routine with the versatile performance of the ASICS Gel-Craze TR 4 cross-training shoe. Open mesh and synthetic upper materials. Lace-up closure. Padded tongue and collar. Breathable fabric lining offers a great in-shoe feel. Molded foam insole. Solyte midsole is lighter than standard ASICS EVA and SpEVA foams. FluidRide midsole technology provides the ultimate combination of bounce back and cushioning properties. Rearfoot GEL Cushioning System attenuates shock during impact phase and allows for a smooth transition to midstance. AHAR rubber outsole delivers long-lasting durability. FluidAxis technology creates anatomical grooves which respond to the athlete~s movements for better support and weight distribution. Imported. Measurements: Weight: 10 oz Product measurements were taken using size 11, width D - Medium. Please note that measurements may vary by size. Weight of footwear is based on a single item, not a pair.